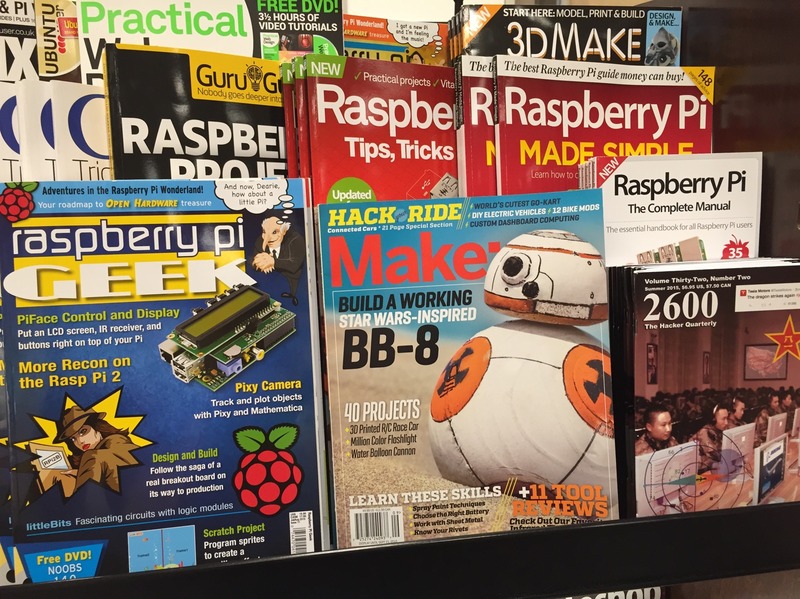 “We are what we celebrate” – August/September 2015 magazine covers (and more) #makerbusiness « Adafruit Industries – Makers, hackers, artists, designers and engineers! 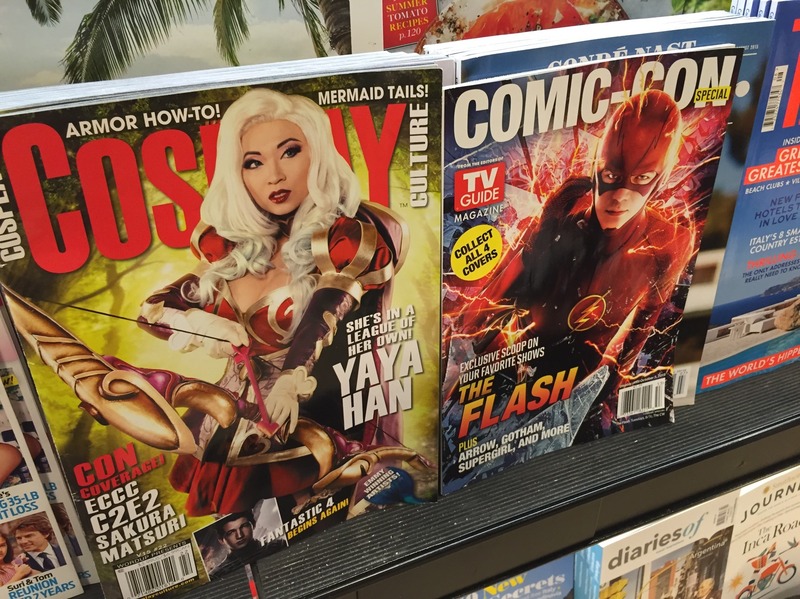 Another month – what’s on the covers and what are we collectively celebrating as a society on magazine covers? 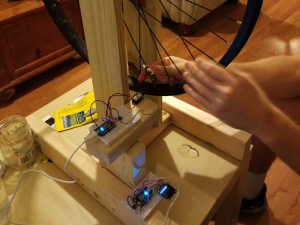 … INC had Deymond John, Popular Science had Neil deGrasse Tyson (more on that in sec), Forbes with Stewart Butterfield, Forbes with robots. 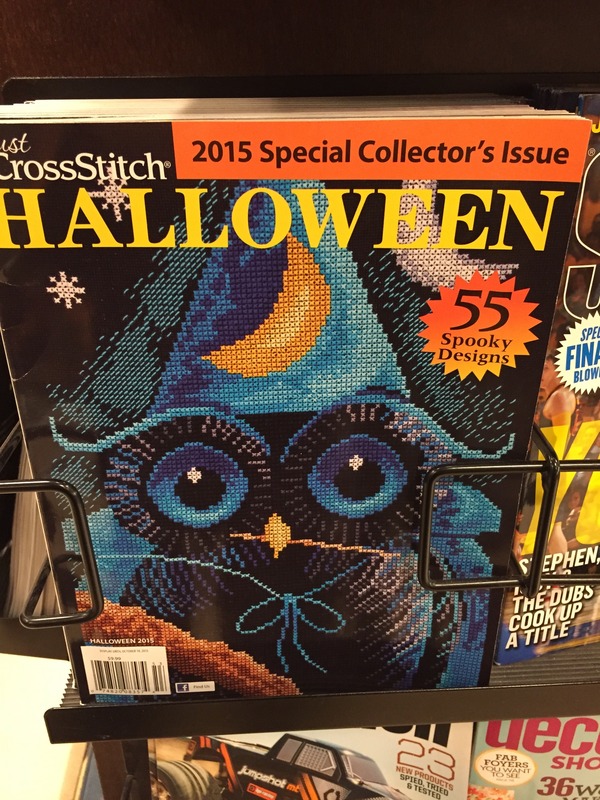 We spotted a Halloween cross-stitch issue, the computer section is filled with Raspberry Pi, MAKE has a Star Wars bot on the cover. A new one to add to our list Cosplay and Comic Con! 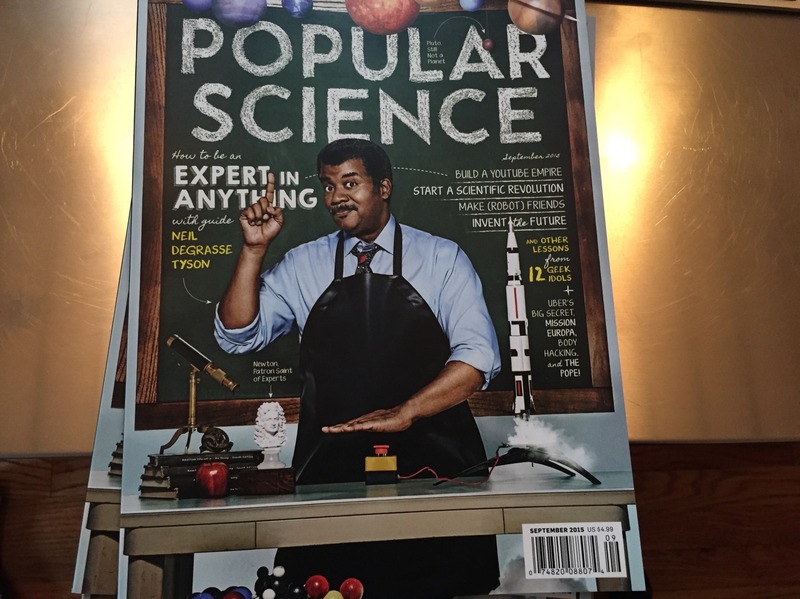 Ok, so what’s the big deal about Popular Science this month? (September). We believe (we’re doing some fact checking) this cover features the first African-American in PopSci’s 140+ year history. 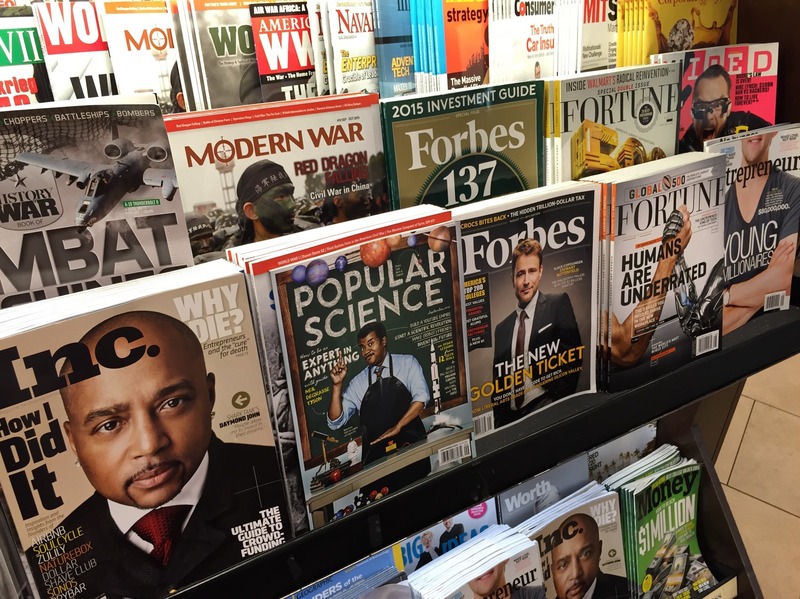 In 2015 the circulation of PopSci is 1,304,017. 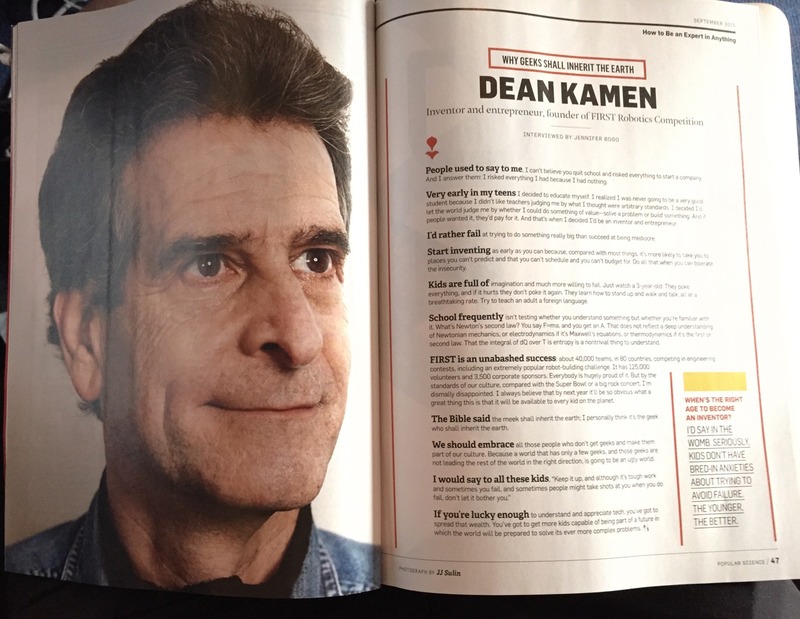 Also in this issue, a profile with Dean Kamen. Dean is who we quote when we say “We are what we celebrate”. 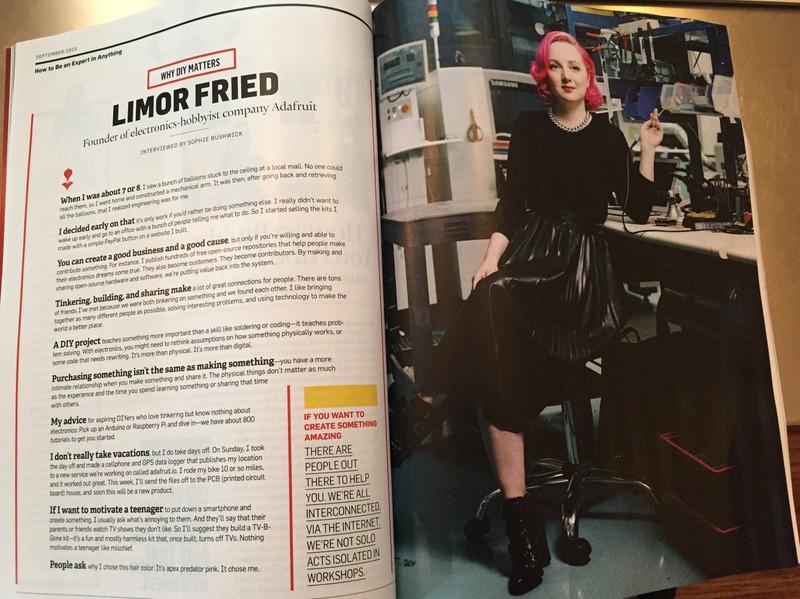 And last up, our Ladyada has a 2 page article by Sophie Bushwick. 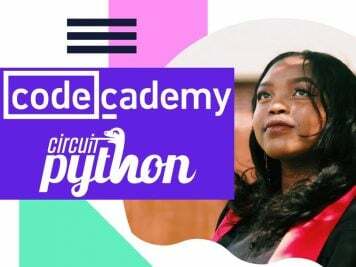 Once it goes online we’ll post a link to it! 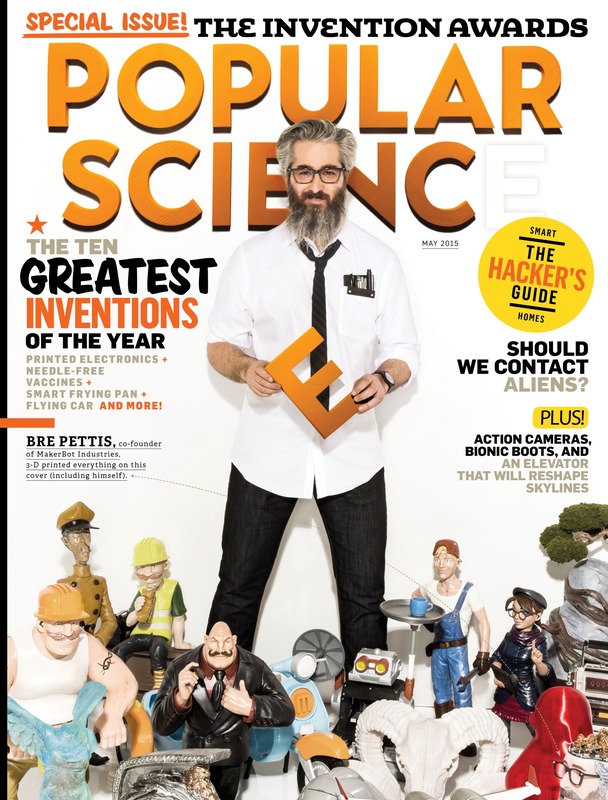 And here is one we missed, Popular Science April/May special issue with Bre Pettis on the cover. 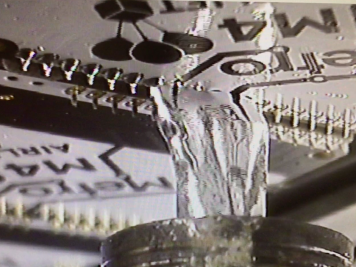 Make: Pioneer on WIRED Cover.